Geeklings Blog x: My Top 5 Favourite Artists! 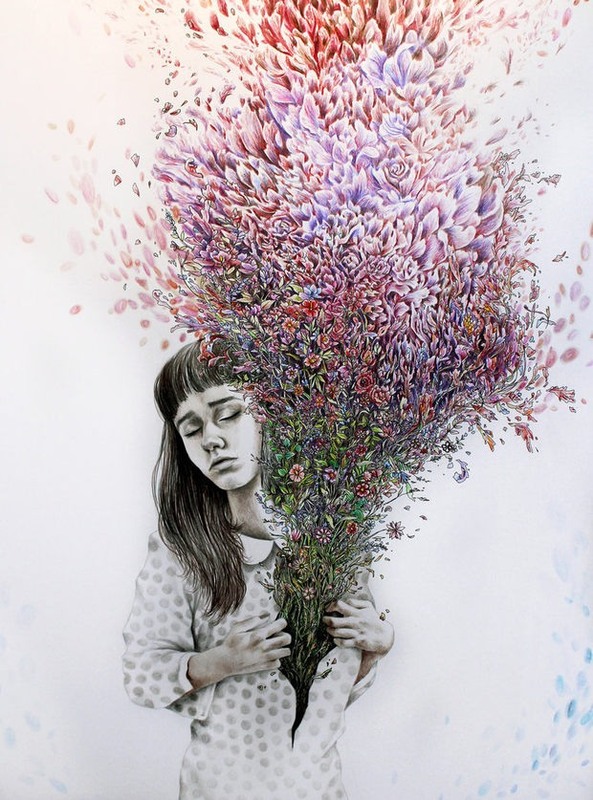 Art is one of my passions and pastimes and as I was feeling particularly arty and was looking through the Instagram feed of two of my favourite artists I thought I'd share them with you! Especially because most of them aren't the classics! They are in no particular order, I just bullet pointed them so it looks a bit easier on the eye... Hope you find it interesting! 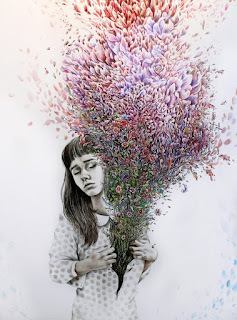 Kate Louise Powell ~ I only discovered Kate Louise Powell last year after looking at an art website and saw her art featured in it and fell in love. After reading and researching more about her and her art, I found out why butterflies made a common appearance- and loved the concept of using them as a symbol of hope- and I think looking at her art kind of helped me. I don't know how to explain but her art put what I was feeling into an image. Now, there isn't a month that goes by without me looking at her art or reading about her, as a person and an artist, in awe. Some of my favourite pieces of hers are 'Storyteller: Recovery', 'The Butterfly Project', her art piece inspired by the quote 'I tried to paint my soul but all I could think of was flowers', 'What do you feel bitter about?' and how could you miss out 'John Lemon'. She is definitely one of my biggest art inspirations. 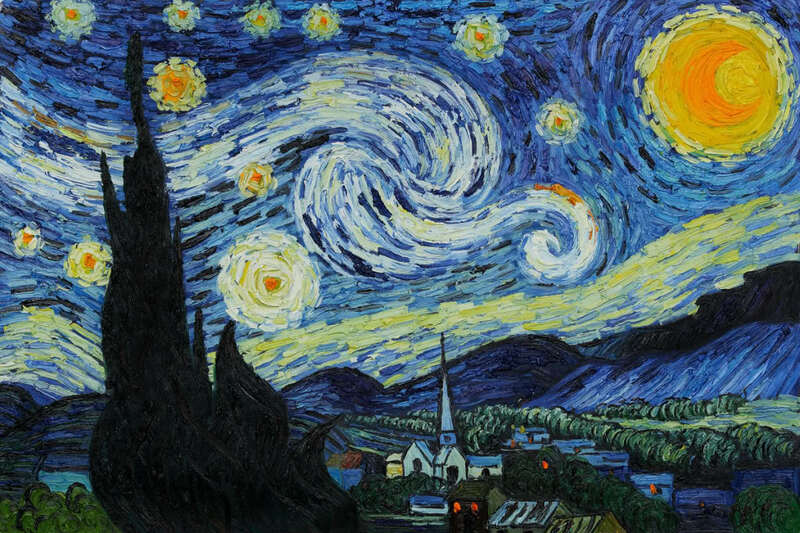 Vincent Van Gogh ~ He was the first artist I was aware of as a little child, and I remember doing a booklet about his art and his life, as well as a few recreations of his art by myself (which are too embarrassing to show!). The way he painted and the paint he used created so many layers and built up the painting. My favourite piece by him, is 'Starry Night'. The mostly blue background which make the stars pop with colour, the swirling effect of the sky and the composition just create the most accurate atmosphere, for me, of night. Him and his work fascinate me. 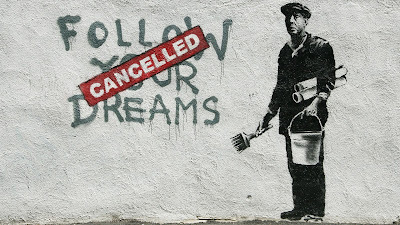 Banksy ~ I think Banksy has revolutionised the art world, making the concept of street art become accepted by the majority. Before, his work and others like it, may have been classed as hassling graffiti but now it is classed as art, only with a different canvas . Although he is a controversial artist, (and I am not trying to encourage pointless tagging or doodles which deface property) I think his work is amazing. So simple, so effective and often with a deep and political meaning behind it. I also think the fact that to the public his identity isn't certain, adds to his art- as he becomes kind of an anonymous protester. I love the ' follow your dreams: cancelled' piece, as it brutally reflects modern life and the limitations society tries to provide. Another of my favourites is 'Keep your coins, I want change' which depicts a homeless man, with that slogan on his board. 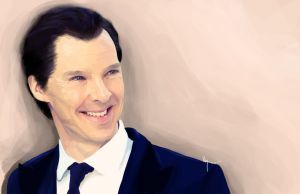 She digitally painted one of my favourite people! Kelsey Cook ~ I got introduced to Kelsey Cooke when my friend recommended her YouTube channel to me and I saw her art and couldn't believe it was painted/ drawn! Still, to this day when she posts a new photo on her Instagram I have to take two, three or even four looks to realised it's not in fact a photo! Her digital paintings especially, which she also posts to her YouTube channel. I recently got in touch with her on a private message with my friend and she gave us both great advice and an artist to look into, which I now have and I am intrigued and now a fan of their work too! Watching her videos and seeing her final pieces motivates me to get a move on with my own, (because I take way too long to get a piece finished!) as she paints or creates her art on her tablet and laptop in one sitting! It takes me at least 10! I think her work is incredible and she definitely needs to be known of more than she already is! Her YouTube account is https://www.youtube.com/user/kelscookie. Lee Price ~ I'm not actually sure how I discovered Lee Price, but I know the work which did. 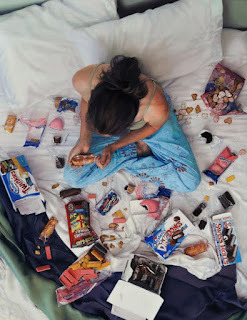 It was her series of paintings which explained women's complicated relationship with food and eating. For a while until I read an on-line news article about her work I believed it was a photography series, but discovered they are actually paintings, and that she is an incredible, American photo realism artist. Her paintings are so intimate, detailed and interesting and to me, can't be told apart from high quality photos. And I love the fact that her paintings are set in a place associated with privacy and being by yourself, as it contributes towards the back story behind the pieces of art which people may not pick up on first time. Like I said, these paintings are so detailed you can keep looking at them for hours.